Happy Monday dolls! 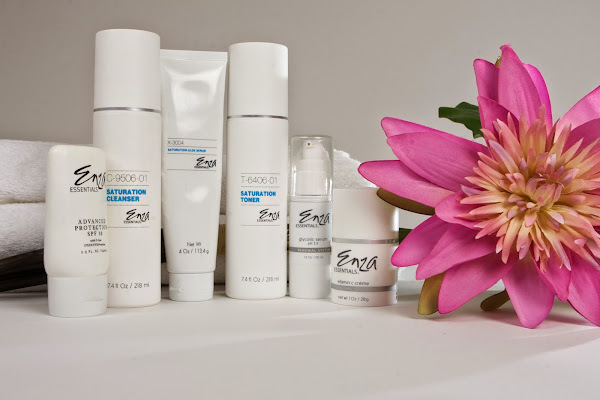 Today I want to share with you a product that has really changed the way I feel about my skin. 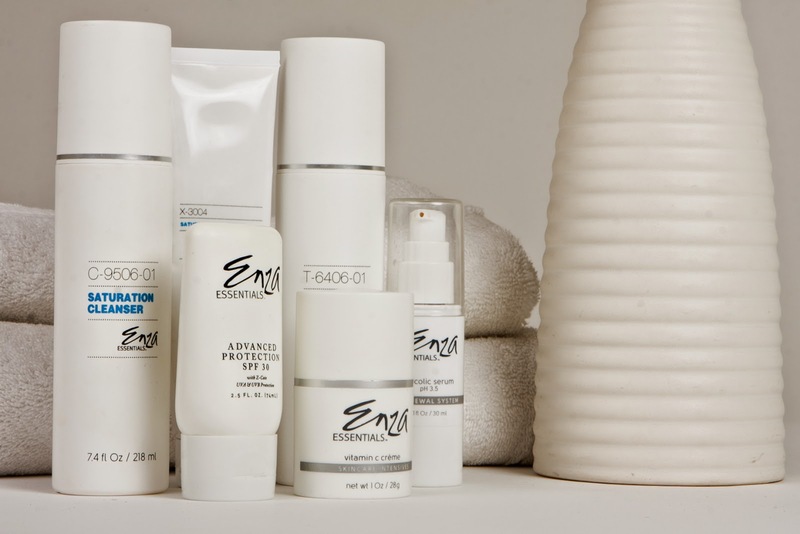 I have tried numerous products throughout the years and when the experts at Enza Essentials reached out to me to try the line I was excited to give it a shot. 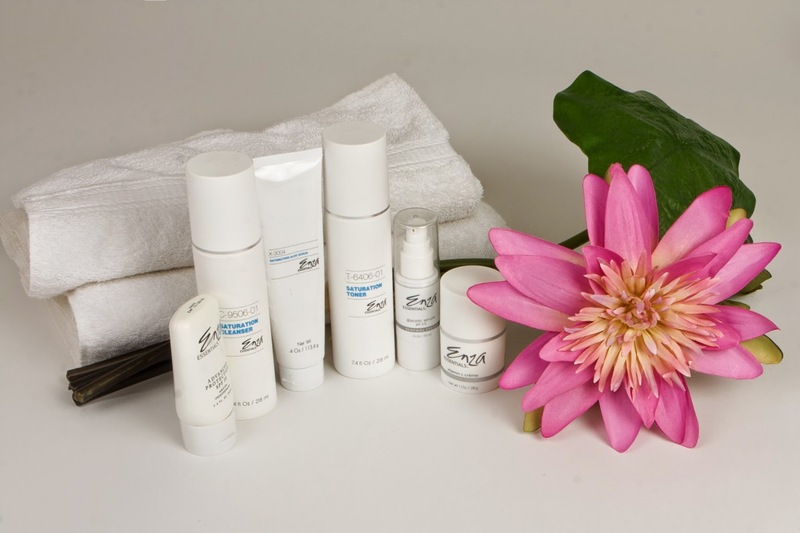 After a quick consultation I was sent over the products photographed above and have had phenomenal results! I had pretty bad acne growing up, so I have some scaring and still breakout occasionally on my cheeks and brow. As I mentioned in my previous beauty post my t zone gets very oily and the rest of my face tends to be on the drier side, typical combination skin. The products arrived with a folder full of helpful information such as ingredients, the benefits and instructions on how to use each product; I also received a personalized skin care regimen with what to use in both the AM and at night. The Saturation Cleanser seriously cleans my face, even at night when I don't use a makeup wipe first and just jump straight into washing my face it leaves my skin refreshed and anew. After a thorough cleansing the Saturation Toner is the perfect way to extract any leftover oil without drying me out. I was a bit hesitant of the Glycolic Serum at first, it is a clear, watery substance that I was afraid wasn't applying evenly but after a few tries I got the hang of it and it is definitely a pertinent step since it not only balances your skin but also has natural healing properties. I am going to give this little bottle all the credit for my newly even skin tone, and disappearing scars. The Vitamin C Creme is amazing! It has the perfect amount of weight to keep me moisturized, but without it feeling heavy and gives me a dewy glow to apply my make up on. Additionally I apply the Advanced Protection SPF 30 when I am out and about and not stuck at home or my local cafe on the computer working, knowing that my skin has a layer of sun protection eases my mind and it also serves as a great moisturizer for the days I need a little extra. Lastly, is the Saturation Aloe Scrub which I use once or twice a week. This product is the BOMB.com, seriously, I would use it everyday if I could. It truly smoothes and brightens my complexion, while soothing it all at the same time, it's like bathing your face in an oatmeal bath. I use this product at the end of the day twice a week and it is like therapy, maybe it is all the fatty acids and vitamins, but whatever it is, it works, and my skin is loving it! I would encourage you all to give Enza Essentials a shot, whether you are on the market for a new skincare routine or not this is a product I truly love and they definitely have something for everyone! 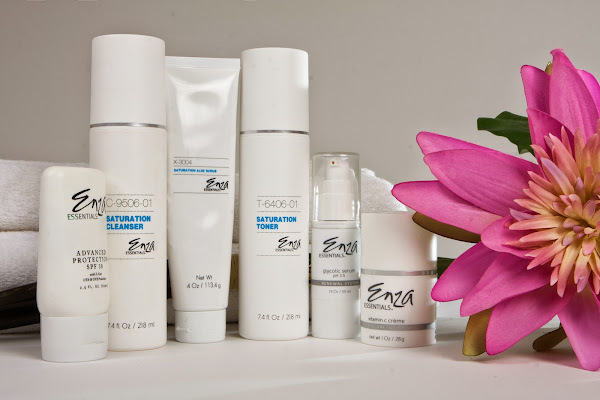 *Thank you Enza Essentials for this generous gift and for introducing me to such an outstanding product that I will most certainly continue using! Linking up with Mix it Mondays, Manic Mondays, Style to Inspire, and Weekend Snapshots!